In 1972, after watching the premiere of The Godfather, then National Security Advisor Henry Kissinger pulled aside Paramount Production Chief Robert Evans to talk about the death scene of Don Corleone. Kissinger told Evans that Corleone was a killer and a gangster, but that when he died the entire arena m.elted into tears. Taking a murderer and getting people to not only relate to him but also to mourn his death was, ‘touching the face of greatness’. Not many people can say that they have been in any similar position to Henry Kissinger, but somewhere along the way of playing Analogue: A Hate Story, I realized that just Francis Ford Coppola with the Godfather, with this game Christine Love touches the face of greatness. There is a lot of earth to drive through on this visual novel so I ask that you bear with me. Also, while I keep most of this review spoiler-free, I ask your forgiveness if I reveal one or two things in order to make my point. You play an unnamed protagonist sent on a data mining operation to the recently discovered Mugunghwa (the Korean word for the Rose of Sharon): a colonial space vessel lost for thousands of years. Your job is to find out exactly why it failed on its mission which will require you to download whatever crew logs you find aboard the ship. To do so, you will need the help of the ship’s Artificial Intelligence *Mute. Instead, you’re greeted by another AI, *Hyun-ae. You will need both AIs to unlock the blocks of data detailing the downfall of the Mugunghwa which had, by the time the logs start, eroded into a society mirroring the Korean Joseon era. To be honest the most I know about Korean history is that until very recently, about thirty years if my memory serves me right, both Koreas were tyrannical states with the Kims in the North and a mixture of autocratic rule and military dictatorships in the South. Much of the country and the people are still a mystery to many and, like the rest of the world, they’ve had their high and low periods. The Joseon Dynasty was, as is the sad case with history, the later and its strongly showed throughout the visual novel. The work done to ensure that kind of accuracy is incredible (and you can see the references when you finish the game) to say the least and it also adds realism to the story as a whole. This is vital because Analogue is not some feminist manifesto as I’ve seen tossed about elsewhere on the internet. And even with its strong mystery and suspense elements, at its core this VN is a story of two warring political families: the Kims and the Smiths. This is where the story could have easily become a dry history lesson with Love dumping information on us and she doesn’t…and it’s awesome. Anyone who’s played Digital knows that Christine Love enjoys non-linear storytelling and in this one she masters the art form. Not only does the style make sense story-wise, but it also makes the characters of Analogue feel real. Despite the historic inspiration, the issues brought up in their logs reflect problems you don’t have to go very far to see in 2012: family politics, marital dysfunction, dealing with ‘black sheep’ and trying to maintain position…or at least appearances to name a few. We may never know why the Mugunghwa regressed to the point we find them in, but they’re not the Splicers from Bioshock ripping each other apart for scraps of ADAM. I have to note this because it would have been so, so easy for these characters to just be mindless, vicious misogynists and the broken women who love them, but they’re not. They are beautifully complex beings that, while ignorant, you can understand their pathos and even, dare I say it, sympathize with them. It’s against this backdrop that we interact with *Hyun-ae and *Mute: both multiple deconstructions and at the same time well done characters in their own right. The story itself actually follows *Hyun-ae who was put into cryo-stasis to be released whenever the Mugunghwa succeeded in its mission. With the Mugunghwa suffering from low fertility rates and seeing an opportunity to increase their own standing, she gets an early release. Her journey from a stranger in a very strange place to the AI we run into at the beginning of the game is as tragic as it is compelling. It’s also where I and other critics clash. Just read my review of don’t take it personally and other critics review of it. It seems like I’m destined to be in the minority. But while some others are happy to leave this story and this character in the past, for me, what makes Hyun-ae’s story so good is the fact that it’s not a historical tale. Societies like the Joseon era are still very real and girls like Hyun-ae are, sadly, becoming as common now as they were back then. All you have to do is look at the effects of Sharia Law in the Middle East or Female Circumcision in Sub-Sahara Africa to see the ‘modern’ face of Hyun-ae. And those examples are just the ones I could think of off the top of my head. And, while tragic, our Pale Bride isn’t completely sympathetic herself. When we first see her, she’s not exactly the picture of sanity…although living as a political pawn, becoming an AI and spending millennia alone is more than enough to warp the human mind. Throughout the VN, a part of you feels sorry for you and, at the same time, a part of you wonders if she even understands just how far she’s fallen. All she can really grasp is that she isn’t alone anymore, regardless of the reasons. It’s a carefully done balancing act that makes her stand out; as well she probably should since it is her story. Playing opposite of *Hyun-ae is *Mute: the security AI. I gather than some didn’t enjoy this character, but again I’m in the minority. Outside of the ship’s logs, Mute is our best representation of what happened to the Mugunghwa. Designed to have a female interface, *Mute even acknowledges that her position clashes with the world around her. Which means that, at some point before the madness began, someone reprogrammed as much of *Mute as they could in order to make sure she fit in with ‘modern society’ while being able to fulfill her primary functions. In a strange way, *Mute is the rebel of the story as she says whatever she wishes (making her a ‘gossip’), openly fawns over a man not her husband (theoretical husband anyway) and is the third powerful being on the ship. While subservient she is at times more what we would expect from a ‘modern woman’ than Hyun-ae. *Hyun-ae, *Mute and the larger cast all come together to tell one of the most dramatic and powerful tales I’ve ever read in an English Visual Novel. I wish I didn’t have to say what I had to in this review, and even with those few spoilers, there is still so much here to dig through. Even after you’ve turned it off, the questions and emotions it brings out of you will keep you up at night. Less is more is the philosophy here and it works wonders. Eschewing complex backgrounds and character models, we are left with two different visual interfaces and the designs for the AIs. Most of your time will be spent between the crisp, sterile style of the AI databanks and the DOS-esque master control. For those who are used to simply pressing a button and having Windows or Apple run your computer for you, having to initialize different commands in the master control takes some getting used to. However, the controls aren’t so dense that it can’t be picked up in a short amount of time. The AI database actually functions as a story telling device as well. You can only stay in such a sterile looking environment before you begin to feel a bit on edge. The visuals of Analogue imposes a sense of solitude only broken up when either *Hyun-ae or *Mute has something to say. It enhances the story without adding a lot to it which, really, is what your presentation is supposed to be doing in the first place. Setting the atmosphere in concrete is Analogue’s OST which is art in and of itself. Borrowing inspiration from ambient sci-fi scores as well as traditional Korean instrumentals (at least that’s what I heard…I could be wrong) the soundtrack often tells its own story as well as the tale of the two AIs it personifies. Credit for this work goes to a certain Isaac Schankler who has done an amazing job on, apparently, his first VN project. Gameplay moves along at a steady pace in this one. Depending on how you treat *Hyun-ae and *Mute, you will be given access to more blocks of data. The more data you collect, the closer you’ll be to unlocking the mystery. While it is natural to want to interact with the AIs more than the time you’re given, it fits into Analogue’s universe that you can’t. You’re ultimately there to do a job, not try and fix problems that existed long before you were even born. Limited in this role, it makes what is happening and what choices you are given extremely important. There is one section of the visual novel that nearly broke me and it occurs directly at the halfway point. Your work causes certain problems aboard the Mugunghwa and only through the master control can you fix the problems and continue the operation. Because I like to do things the hard way, I decided to just use whatever information I could find and do what I could. It was a little bumpy and I had a few Rad Brad rage moments, but overall it was a fun moment in an otherwise somber experience. Analogue takes between five and seven hours to play depending on your reading speed more than your playing speed. Oh and it’s $15, but seriously people who have paid over $200 for the Mass Effect trilogy and associated DLC content can’t stop talking about how much they hate Bioware now. This is more than worth your $15…and while we’re here let’s just make it an even $20 because it’s $5 for the OST by itself. $20 for a great OST and awesome game that you will definitely play more than once: how is that not a deal? This is more than just a visual novel. This is a well-made suspense story. This is possibly the most accurate historical account of any civilization you will find in media outside of public television. This is a deconstruction of the science fiction genre as a whole and a great character study of women under the boot of extremely misogynist cultures. The only other game, visual novel or otherwise, with this type of depth inspired the ‘are video games art’ debate and you had to stare down a Big Daddy to understand that point. 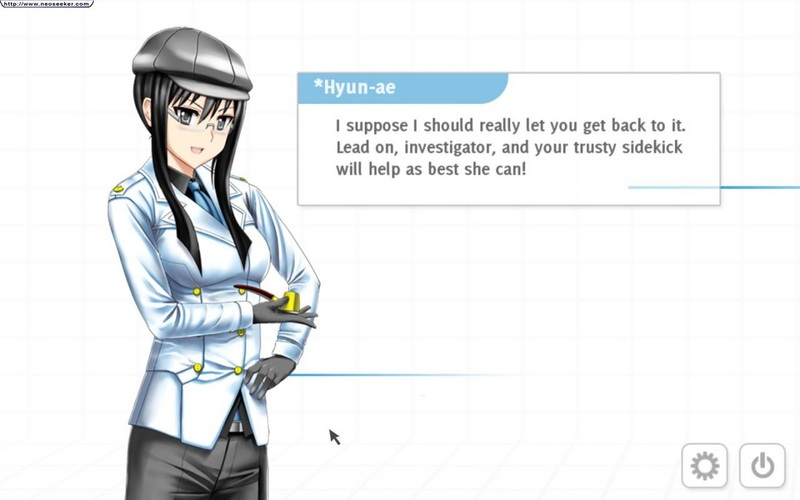 Analogue: A Hate Story isn’t just one of the best visual novels made this year; it is possibly the definitive English Visual Novel. Do not deny yourself this experience.